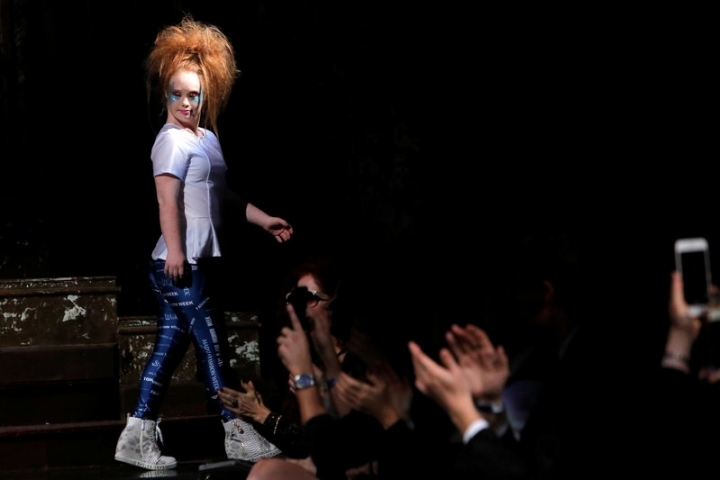 NEW YORK (Reuters) - Less than two years after making her runway debut, Madeline Stuart, a model with Down syndrome, launched her own fashion label on Sunday at New York Fashion Week with a collection of sporty leggings, crop tops and skirts. 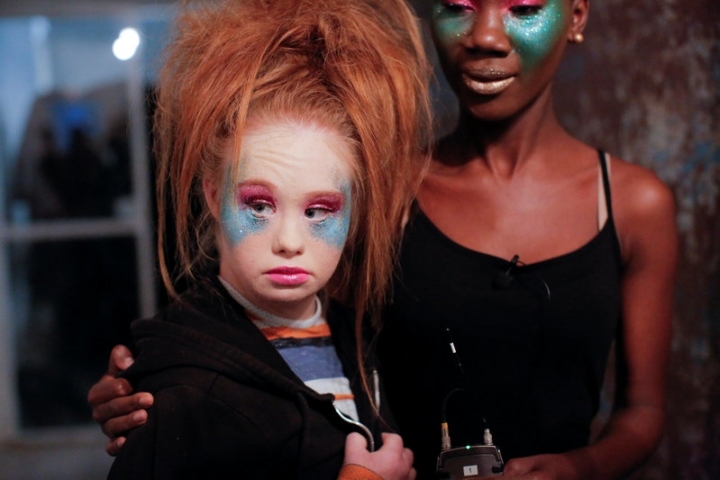 The Australian-born model challenged fashion industry norms with her first catwalk appearance in 2015 and is credited with changing perceptions about people with Down syndrome. 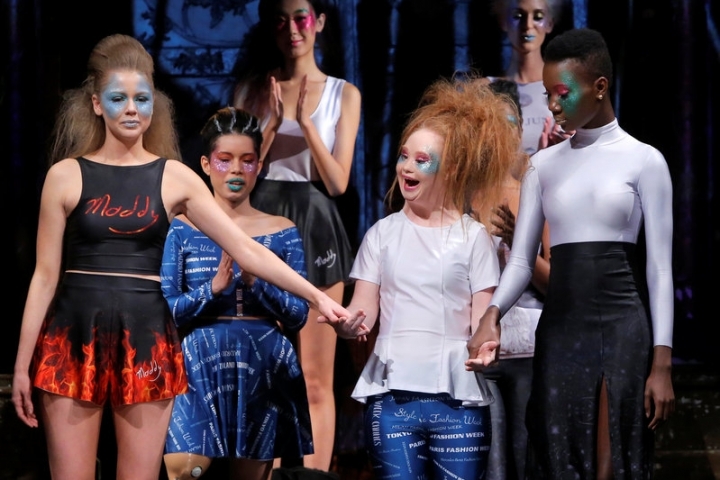 She hopes to do the same with her new label, 21 Reasons Why by Madeline Stuart. 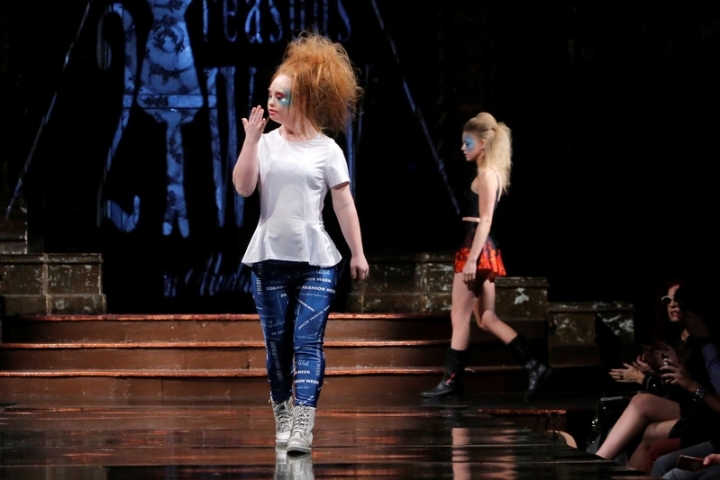 Wearing blue patterned leggings, Stuart kicked off the packed show that featured casual looks designed for comfort and ease. She paired short flared skirts with long and shirt-sleeve crop tops and T-shirts that could be mixed and matched with dark and patterned leggings. "It really does represent who she is," Roseanne Stuart, Madeline's mother, manager and design collaborator, said about the collection that will be sold exclusively online. The collection's name is a nod to Stuart turning 21 this year and the extra copy of chromosome 21 that is characteristic of Down syndrome. The genetic disorder that affects development occurs in about one in 700 births, according to the U.S. Centers for Disease Control and Prevention. About 6,000 babies are born with Down syndrome in the United States each year. Since first stepping on the runway, the Brisbane-based model has not looked back and has appeared in fashion shows around the globe. After walking in two other shows in New York, she is heading to Paris and then Los Angeles and other U.S. cities before returning to Australia in late April. Stuart, whose speech is limited, wanted to be a model immediately after seeing her first fashion show in Australia. "Madeline has never had the concept that she can't achieve anything," her mother said in an interview, adding that after four seasons modeling in New York, she had shown her staying power. Sara Hart Weir, president of the National Down Syndrome Society, believes Stuart has been an inspiration for others like her and has raised the expectations of people who have never met someone with the condition. 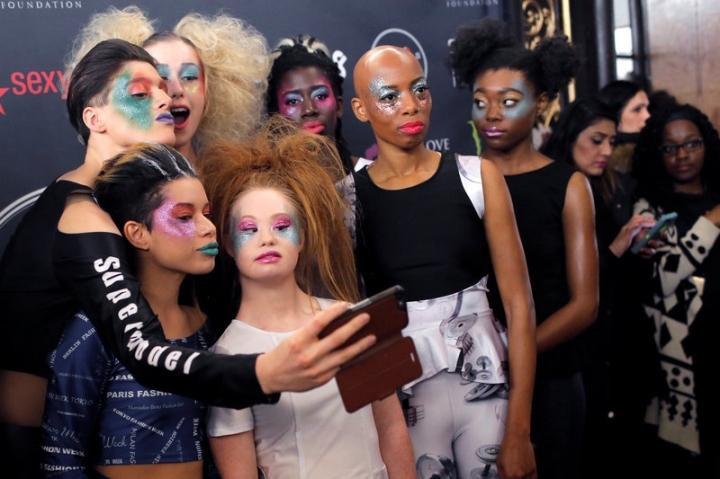 "By debuting her own fashion line and becoming a businesswoman, she is showing other individuals with Down syndrome that is it OK to have your own hopes and aspirations," she said. 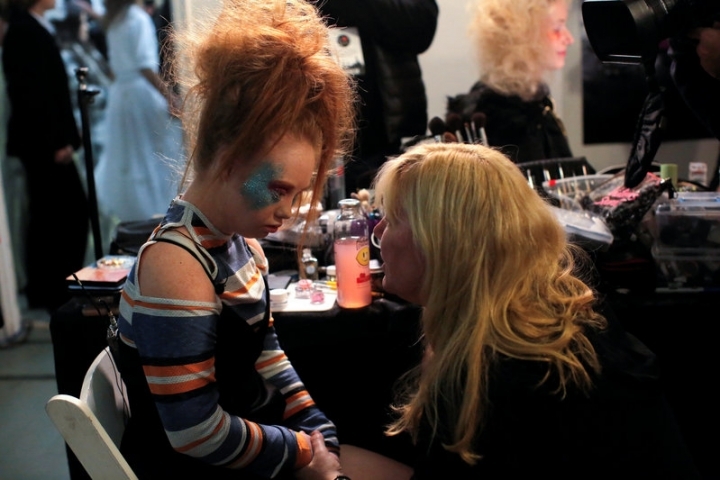 "The expectations for children with Down syndrome are higher than ever," she added.